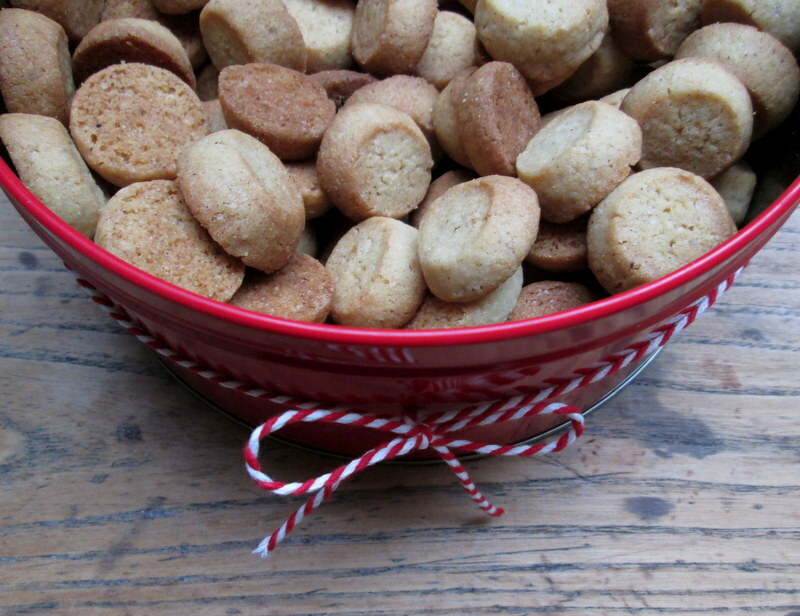 These crunchy, crispy, spiced little cookies are a Danish Christmas institution. 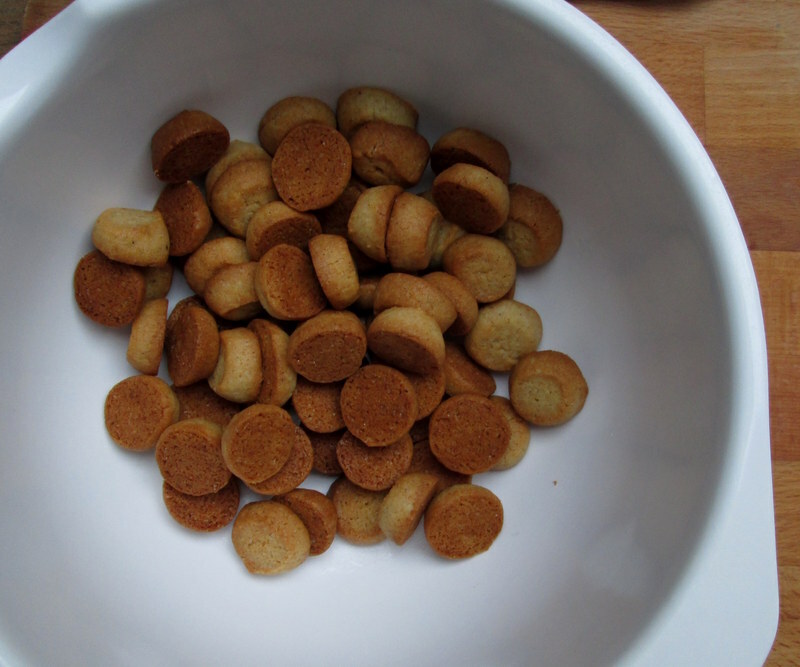 Pebernødder means ‘pepper nuts’ – the little cookies are more or less the size of a nut, and while these do contain a bit of pepper, to ‘pepper’ actually means to season, or spice. These ones are spiced with nutmeg, ginger, pepper, cloves and cardamom, and have a nice zing to them, that comes out as you’re chewing. I always make them around Christmas, although this is the first time I tried this particular recipe; at first I wasn’t sure about the ginger and thought about perhaps reducing the quantity next time, but I tested them out on my Danish colleagues by bringing a selection of Christmas baking to work with me, and they seemed to favour them in particular! So I may stick with the ginger after all 🙂 if you’re not a huge fan of ginger, you can reduce the amount slightly, and also perhaps the pepper a little bit. 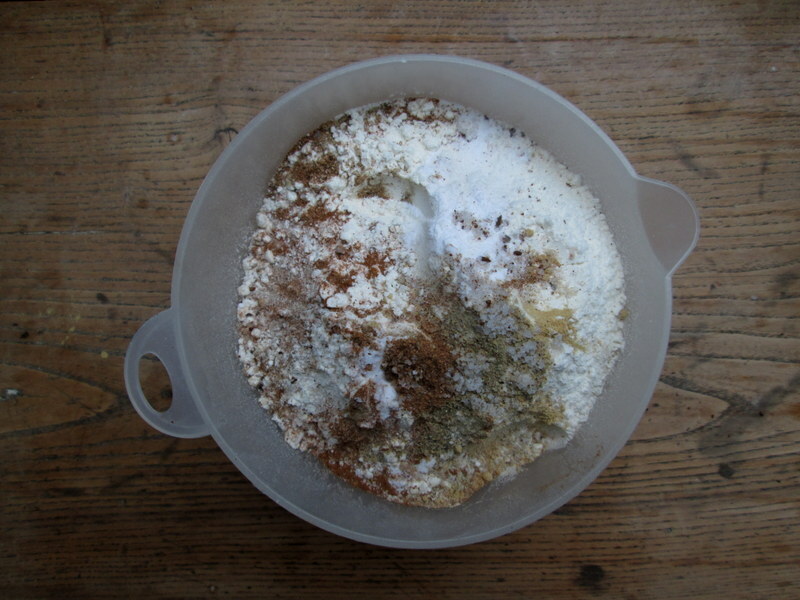 I also added cloves and nutmeg, as I cannot imagine a pebernød without cloves, as well as a tsp of salt. 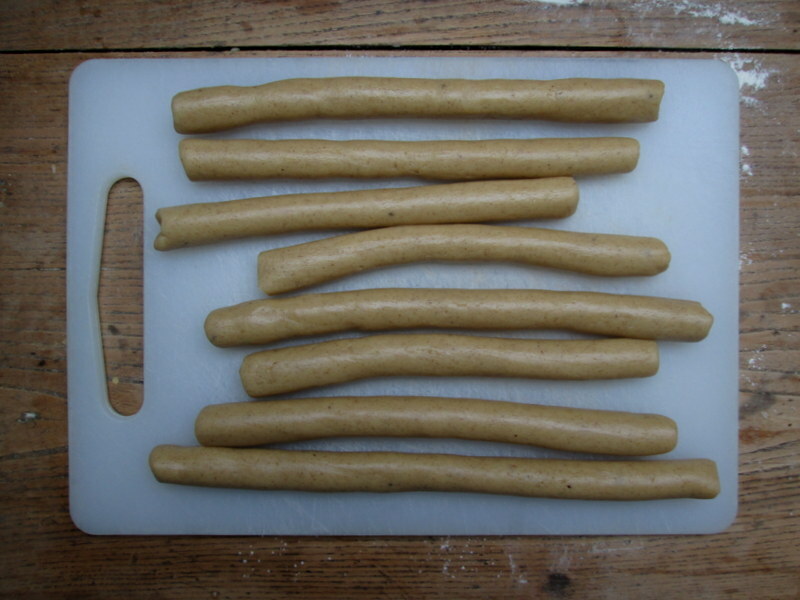 These are easy to make, fun to eat, and also great to give away as an edible gift when going to a Christmas party, as as they keep really well, and this recipe makes for a lot of pebernødder! 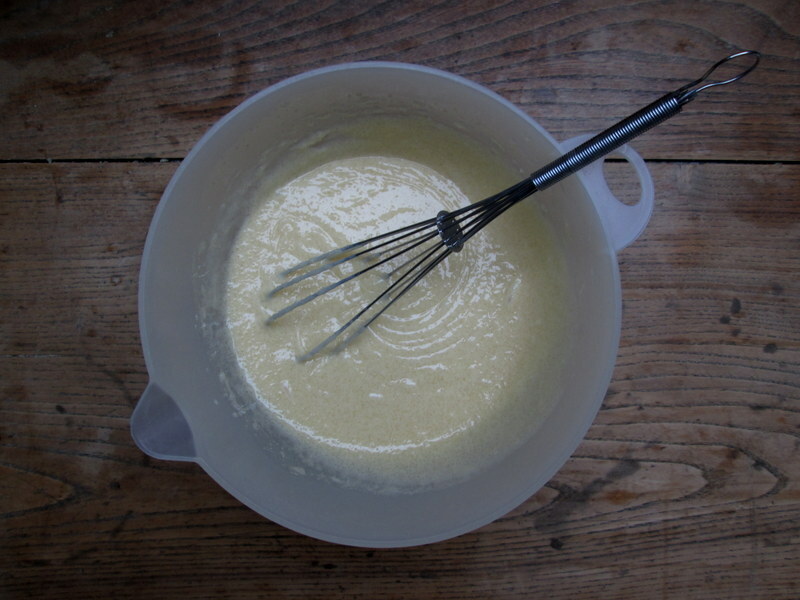 In a large bowl, mix together the melted butter, sugar and whole cream. 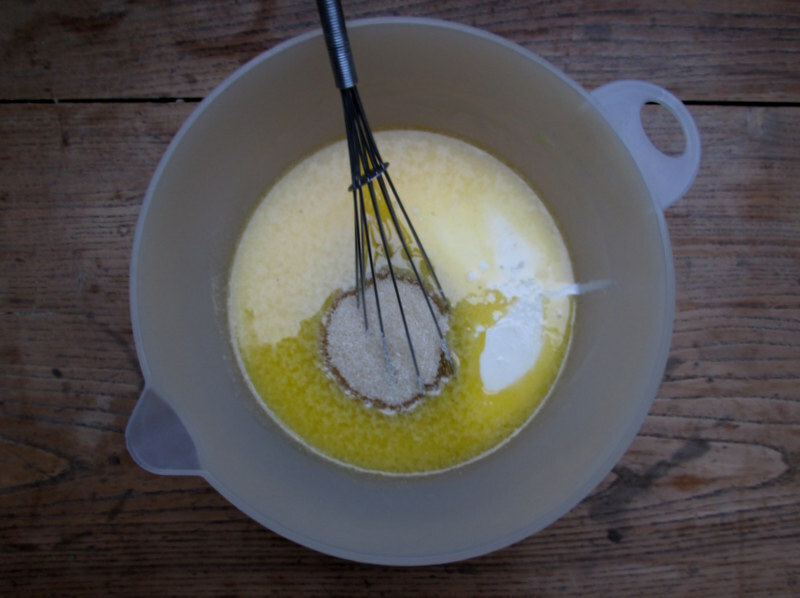 Sift together the flour, salt, spices, baking powder and baking soda, and incorporate into the wet ingredients, first with a spoon, then pressing it together with your hands. 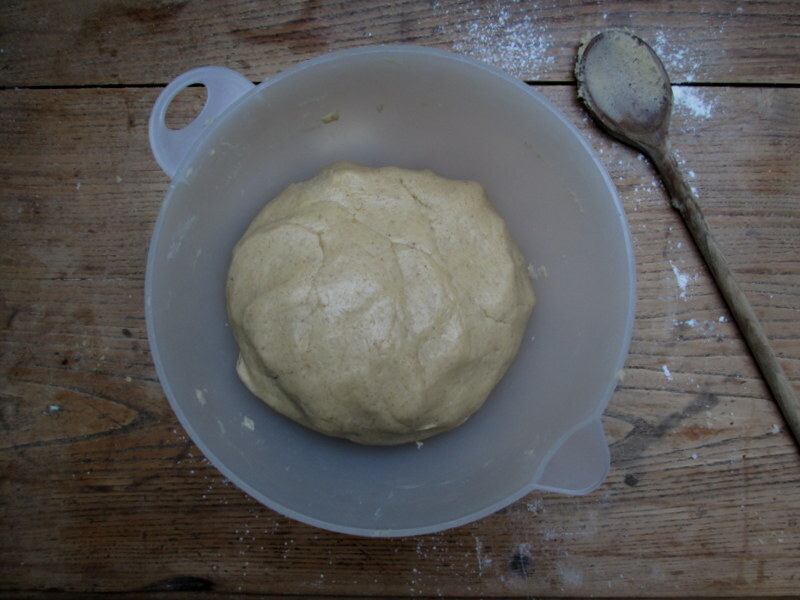 Roll the dough into long strips, about 1 cm (1/3 inch) thick (no need to flour the counter top/cutting board, the dough doesn’t stick and is very easy to work with). 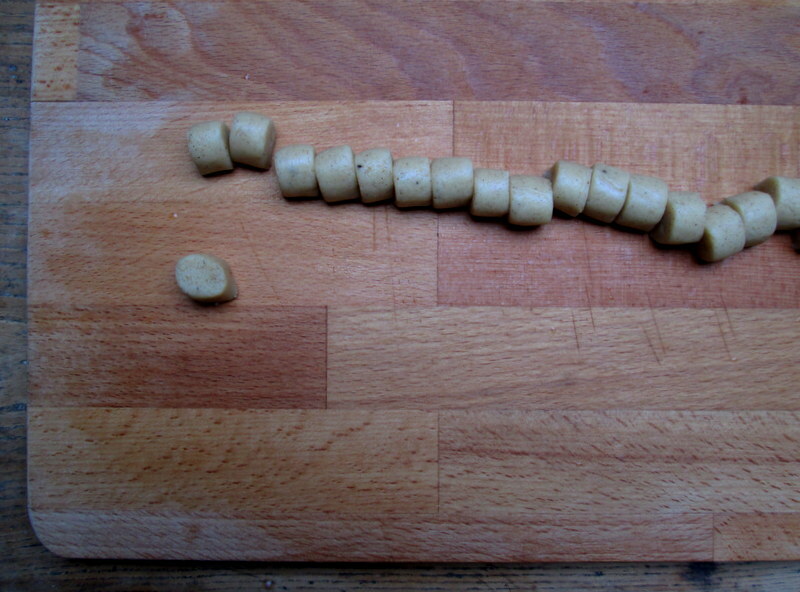 Let cool in the fridge for about 30 minutes, then cut each strip into little pieces, about 1 cm (1/3 inch) wide (you can place several strips next to each other and cut them simultaneously, to save time). 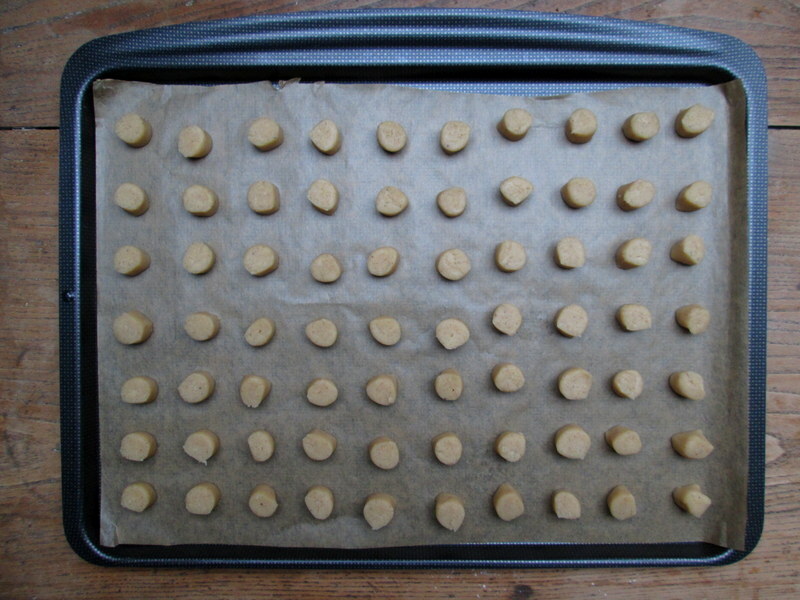 Place the cookies on a baking sheet covered in baking parchment. Bake for 7-8 minutes in an oven preheated to 200°C/ 400°F, until the cookies are nice and golden. Leave for about 30 seconds on the baking sheet, then pour into a bowl or dish to cool (they cool very quickly). 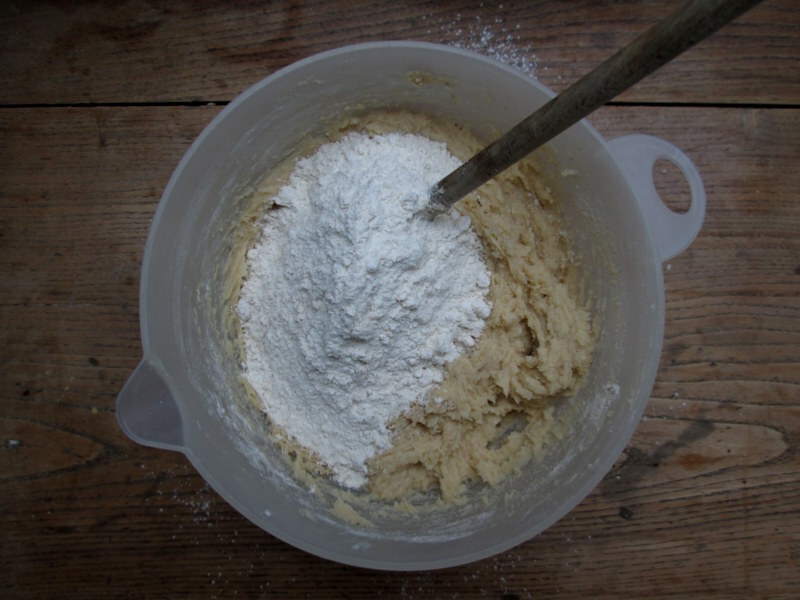 Repeat with the rest of the dough strips (or keep them in the fridge until you want to bake them – the dough will keep for about a week or so, covered in tin foil or plastic film). 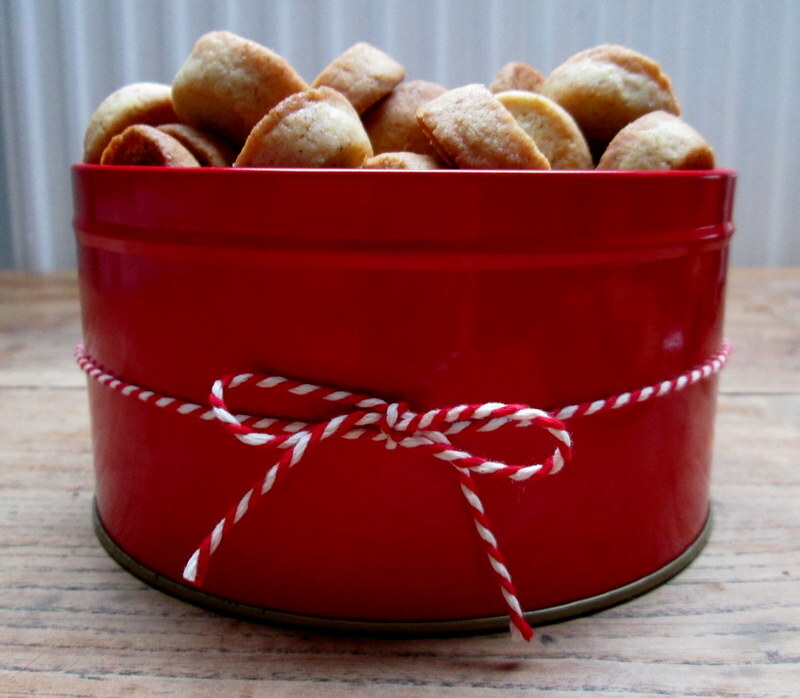 Keep in a cookie tin/airtight container (if using a plastic container, be sure to line it with baking parchment to keep the cookies nice and crisp) for about 1 month. Hi Marie, I made these cookies a few days ago. They received GREAT reviews. Your instructions were very detailed and easy to follow. I tried another pebernodder cookie last year for Christmas and it completely failed. I was frustrated but determined that this year I would find and try another. Yours is a winner. Thank you!